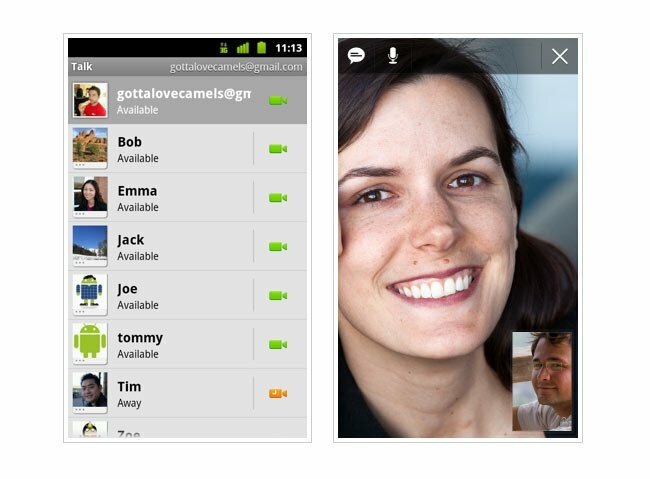 Google has announced its now added an official, built in video chat feature to its Android 2.3 devices. Enabling users to now use video chat on Google Talk over 3G, 4G or Wi-fi. The new feature allows users to chat to any Android or Gmail web user directly from your Android phone and even use text chat whilst in video chat is needed, overlaying your texts over the top of the video stream as you talk. Within your Google Talk friends list, a video or voice chat button will appear next to your contacts, allowing you to simply touch the button to connect with them via Video Chat. More information about the new built in video feature on Android 2.3 can be found on the Google Blog. Take a look and our article on Android vs iPhone to see which smartphone and mobile platform is best for you.